A few KM north of Villa La Bianca there is the Cinque Terre National park which is a UNESCO World Heritage Site. Thanks to the Dream I boat you will be able to spend an amazing day discovering the hidden paradises you can only reach by boat! You don’t have to be an expert sailor to enjoy this experience. If you want an original, relaxing day then this is the perfect excursion for you. With the wind in the sails and the sun to warm you the boat will take you to from cove to cove and from one port to another. You are free to enjoy the sea as you want: if you want to enjoy the sea air and relax, if you want a more intense or sporty experience, or if you want to include cultural interests with an enjoyable holiday. 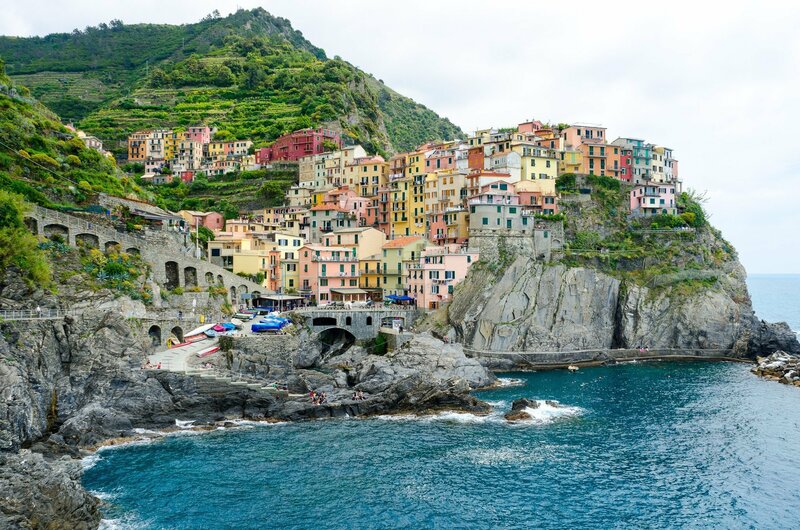 All of this is possible when sailing along this breathtakingly beautiful stretch of coastline the Cinque Terre. We set sail from Lerici and head towards the island of Palmaria, sailing around Tino and Tinetto and the Cinque Terre. We will then find a small cove where we can take a dip in the sea followed by an aperitif. We will sail on towards the Cinque Terre where we will drop anchor and have a relaxing lunch and another swim. After lunch we will hoist up the sail and we can try out some manoeuvres like real sailors! Towards evening, we will enjoy another aperitif as the first light of the sunset guides us back to the port and to the end of this unforgettable day.